Ananka's Diary: The Irregulars Salute: Mayor Michael Bloomberg! The Irregulars would like to extend an honorary membership to New York's very own mayor (and terrorist groundhog victim), Michael Bloomberg! 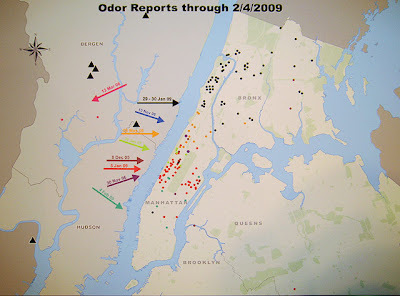 For years, New Yorkers have been detecting an unusual odor in the air. 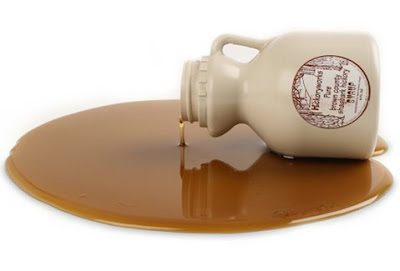 From time to time, the sweet smell of maple syrup has wafted through our neighborhoods, frightening many and causing pancake sales to skyrocket. Watch the Mayor explain it all here. Then check out The Columbia Conspiracy for the truth! "...when in doubt, it never hurts to blame New Jersey..."
ewwww. they put that stuff in our food? How many honorary Irregulars are there? how cool! that smell has been around forever! New Jersey, huh? Somehow I'm not remotely surprised by this. Yeah, I heard that today on NPR. The mayor's espanol is pretty good, if a bit lilting. I love maple syrup. It's so much better than "pancake syrup." But I wouldn't want to smell it 24/7. i luv ur blog irregular kiki! I am the school weirdo too! that's some scary stuff, man.School weirdo is so offence.Rare is more like it. Hey, I'm from New Jersey! Oh well. I can't wait for tomorrow! Your Mayor's so much more cooler than mine. Sigh. Good luck on your talk today Kirsten! I wish I could be there! People thought it was a terrorist attack. But what kind of Al-Quaeda terrorist uses "scented" bombs??? Staten Island Chuck is a hero for all New Yorkers. He bit our worst mayor since Jimmy Walker.